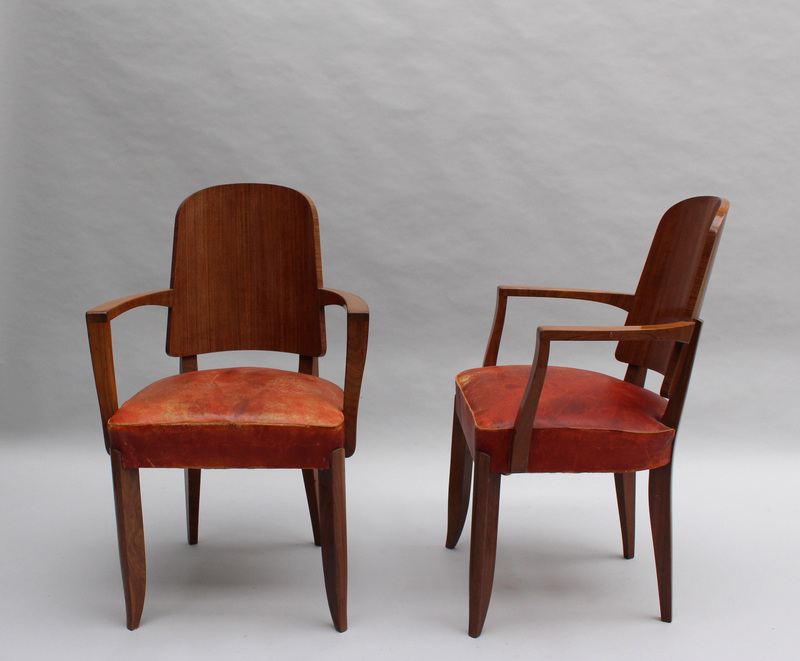 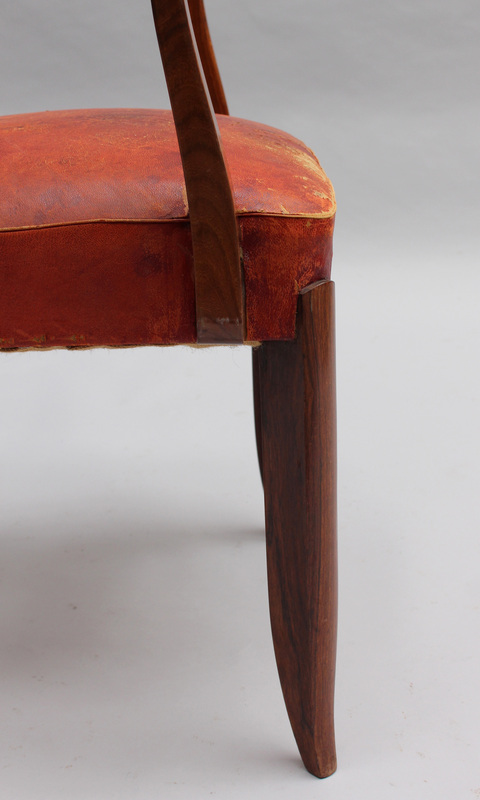 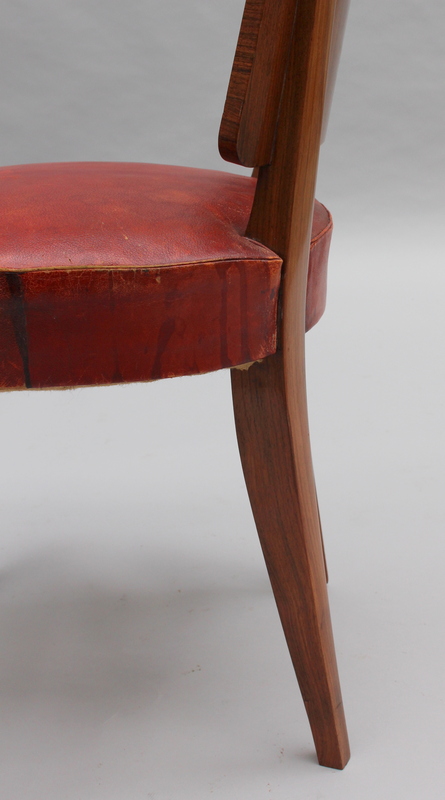 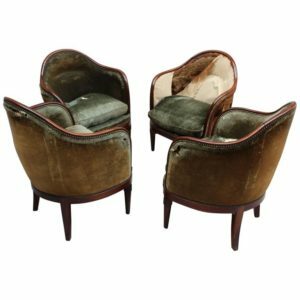 A set of fine French Art Deco six-side and two-arm palissander chairs by Maxime Old. 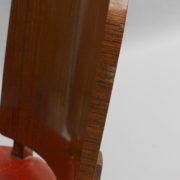 A matching table, sideboard and two vitrine are also available. 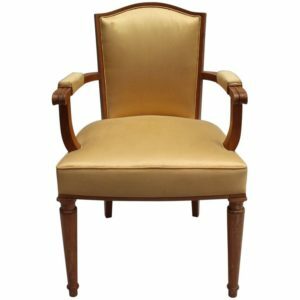 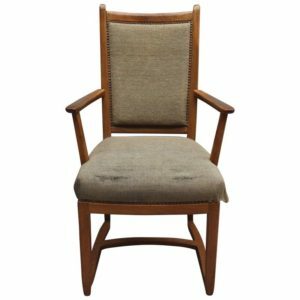 Armchairs dimensions: H 36″ W 22 1/2″ D 21 1/4″ Arm height: 26 1/4″. 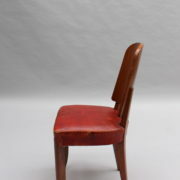 Good original vintage condition.Minor wear consistent with age and use. 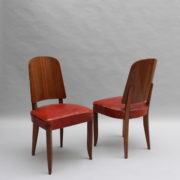 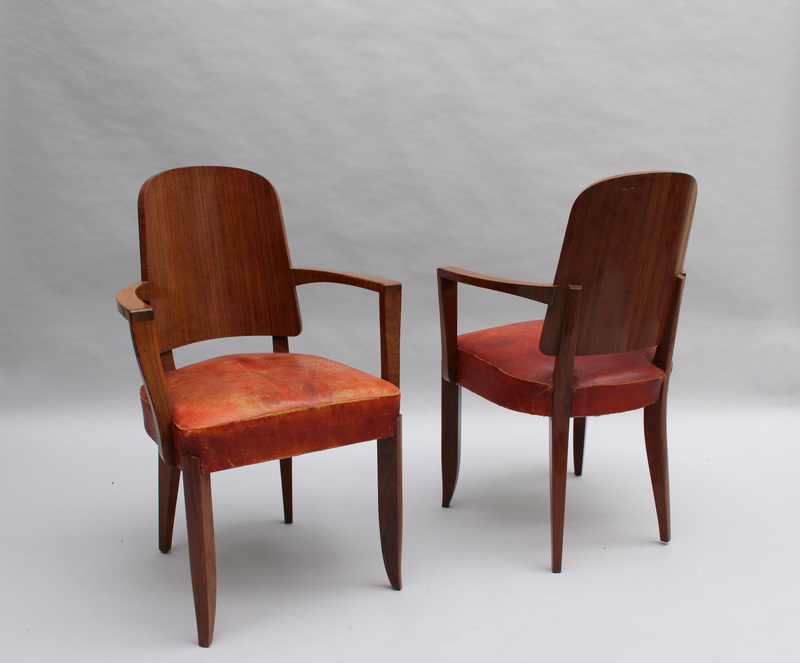 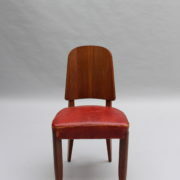 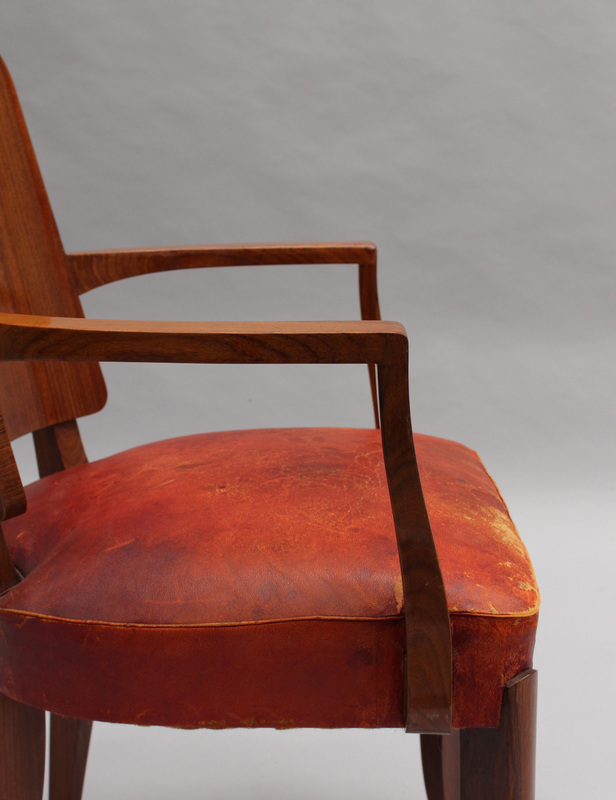 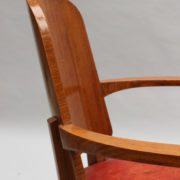 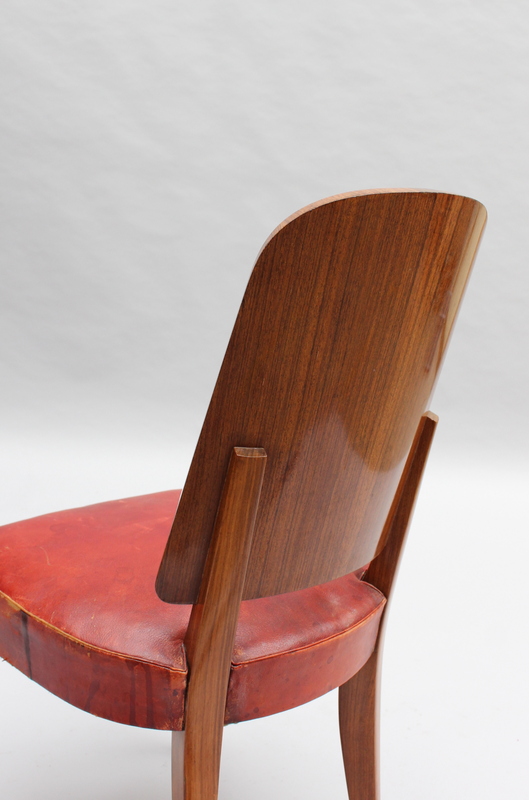 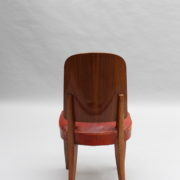 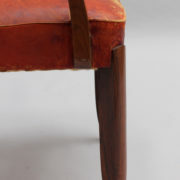 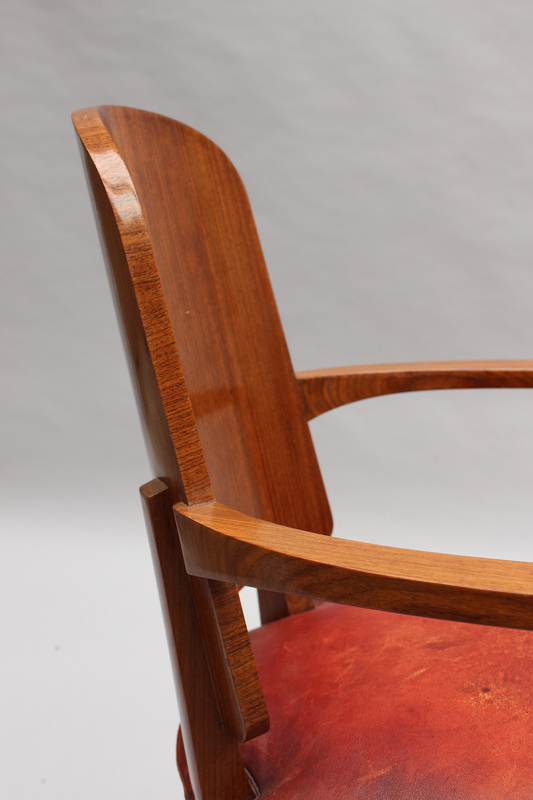 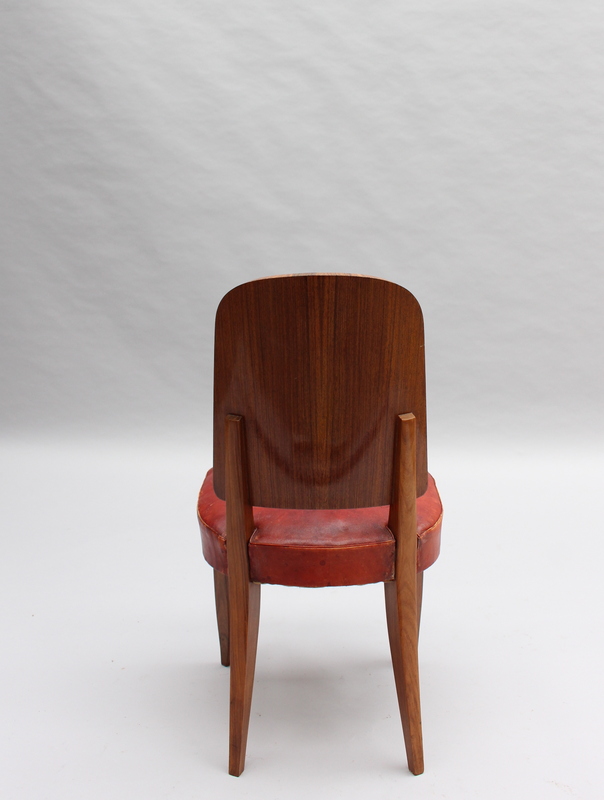 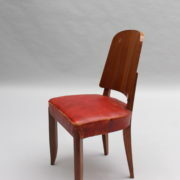 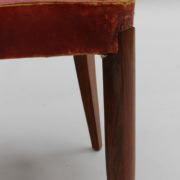 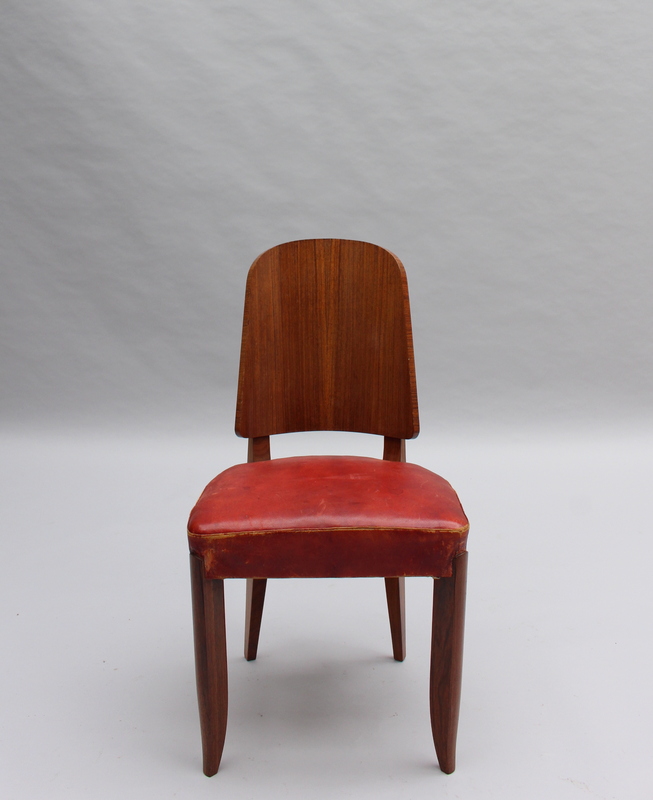 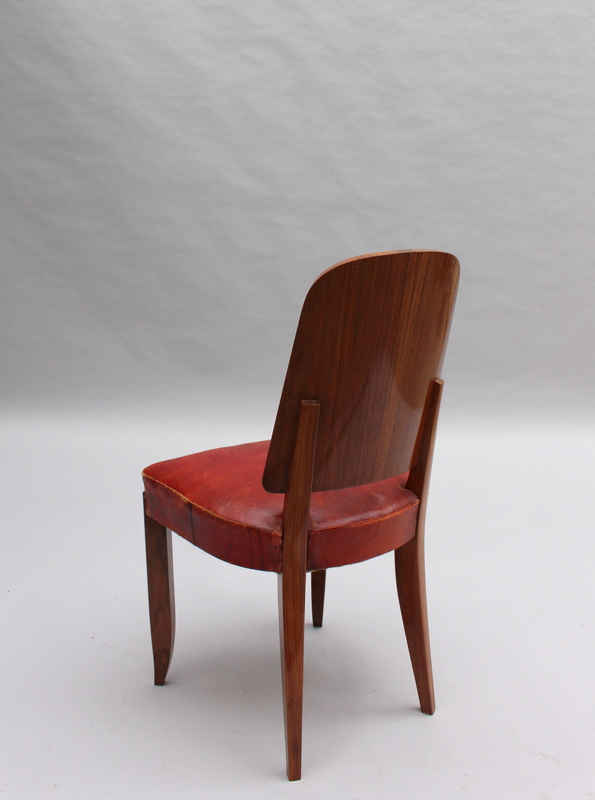 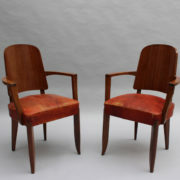 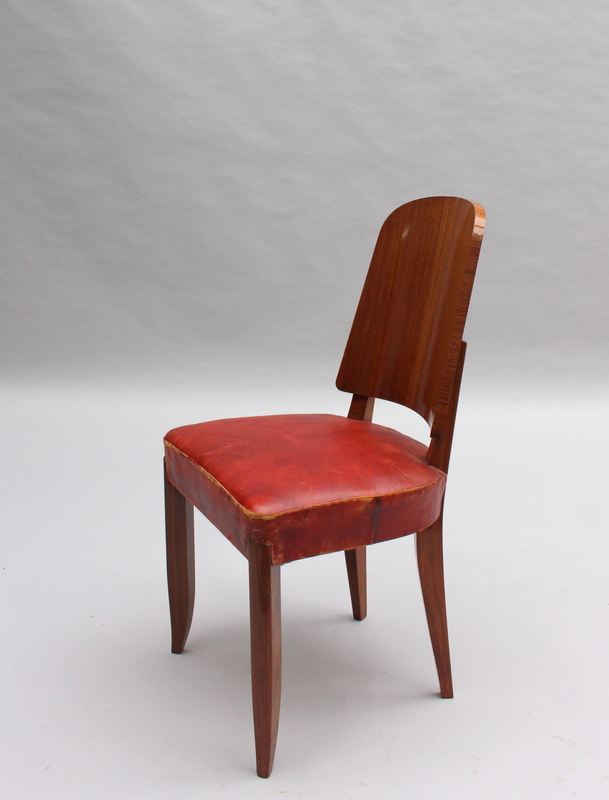 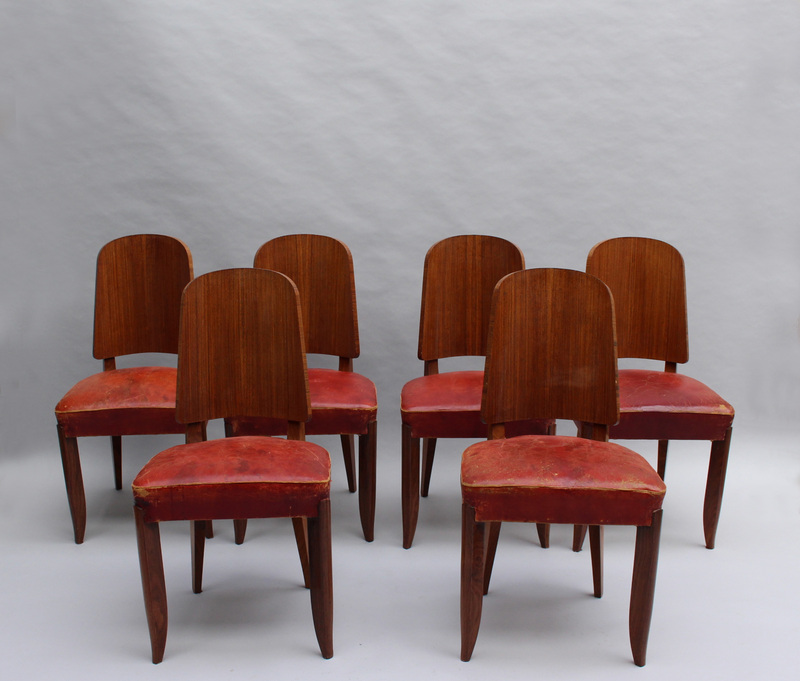 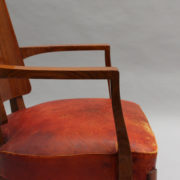 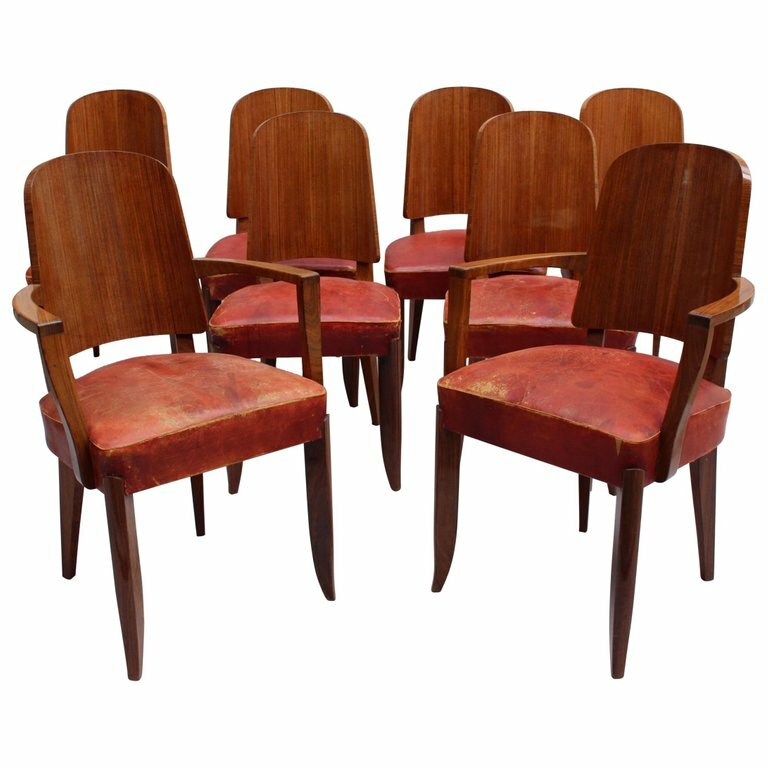 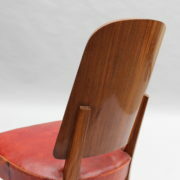 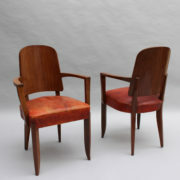 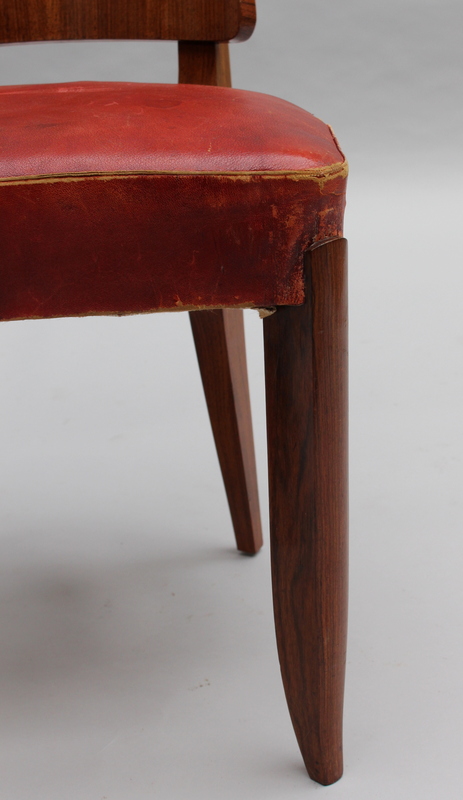 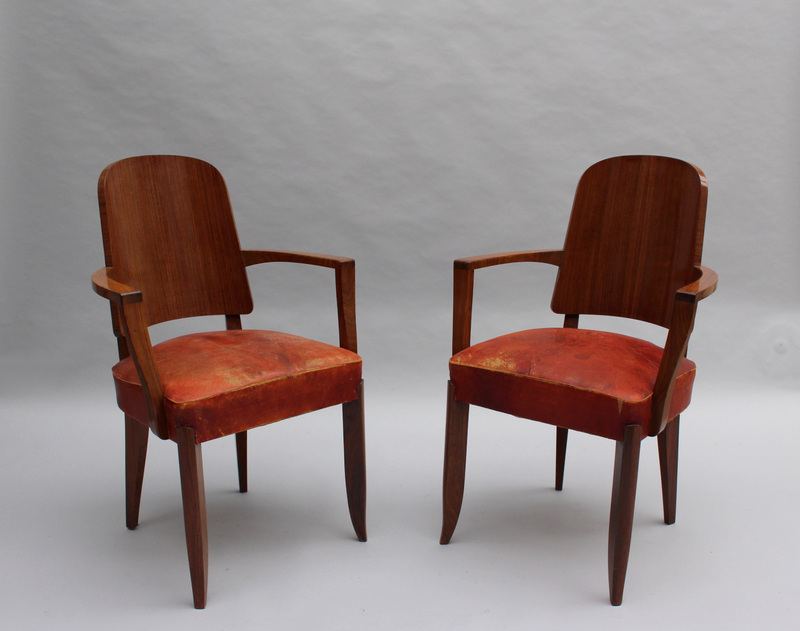 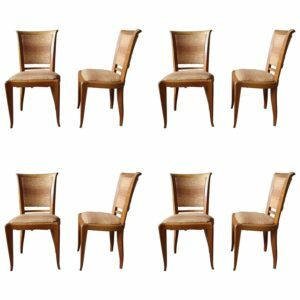 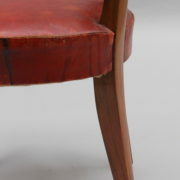 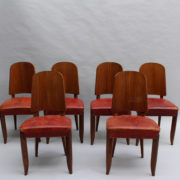 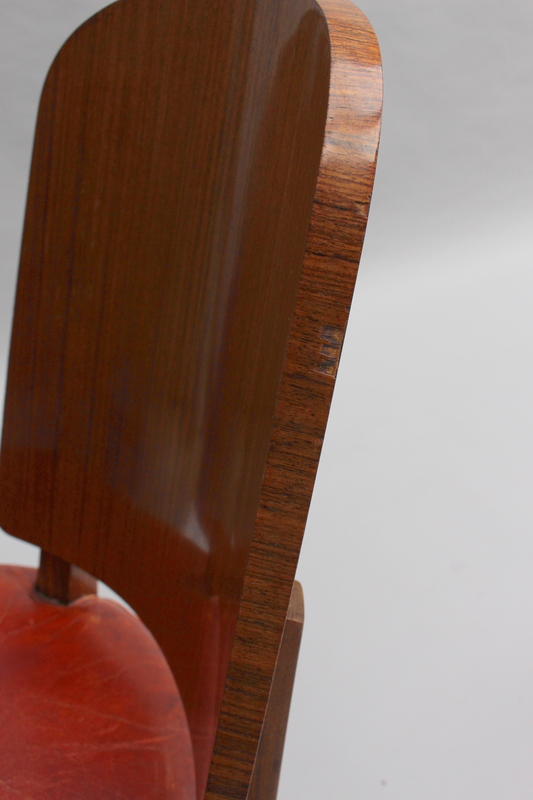 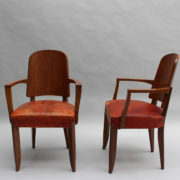 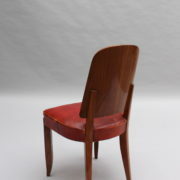 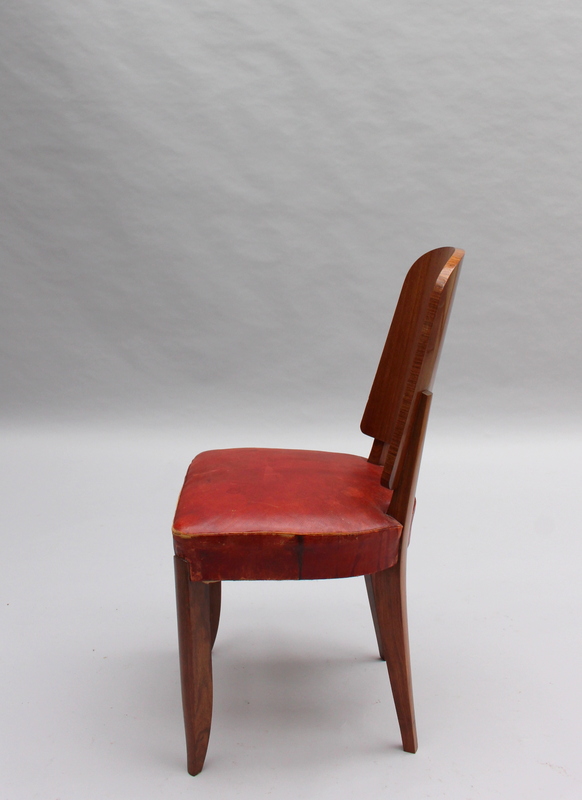 Soyez le premier à laisser votre avis sur “Set of Eight French Art Deco Palissander Chairs by Maxime Old” Annuler la réponse.